What Is Image Compression. Image compression is a way you can reduce the file size in bytes without effecting the image quality of the image or photo. Compressing an image or compressing photos will allow more images, photos to be stored in a given amount of disk space. And one of the most important things for web designers is that compressed images will reduce the time required for images to load over the internet. There are a few different ways that you can compress images, the three that are most common compressed graphic image formats are the JPEG format, PNG format and the GIF format, and all should be compressed before you upload them to your site. Make sure the image is the correct size before you use image tools to compress an image, do not reduce the image size by editing the size in the image code as the image file size will still be the same rather use a image resizer to reduce the image size this will also reduce the image file size for faster loading then use image compression to reduce the file size even more. There are lots of different image tools on the internet that you can use to compress an image but one of the best is to use the image optimizer from Smush.it. 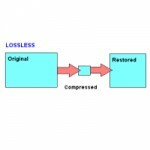 It is a “loss less” tool, this means it will optimize any image format and reduce the image file size by removing white space and unnecessary bytes from the image file without changing the look or visual quality, and reports how many bytes would be saved by optimizing the image and provides a downloadable zip file with the minimized image files. Any images on your site should be optimized this way, sometimes its all the little things that you do when you make a website that will help you beat your competitors and by compressing pictures and compressing image files before you upload them to a web page will help the page load that little faster for your visitors and help improve your rankings in search engines as faster loading pages rank better. Image Resizer. Good site planning will help your website SEO when you build a website. One of the thing’s that should always be on your mind is the size of images, and pictures on a page. Having large images on a page will slow the loading time of that page this could even effect the ranking of the page on search engines, and you could even loose impatient visitors that don’t wait for the page to load. Be careful how large your images are on a page, use a online image editor or a free image resizer to resize images rather than using the image size tags in the code, this will only make the image smaller, the image file size will remain the same size. Image resizing will reduce not only the image size but also the image file size for faster loading images. If you have a large image that you want resized it may take a little longer, be patient and wait for the image tool to make the image smaller, it will be worth it. Even if you have no graphics skills or knowledge you will be able to make your images smaller, the online image editor will help with your photo editing and improve your sites loading time, anyone can resize images. Image’s that you want on your site should not be hosted on a different domain always try to host images on your own site. If for some reason the site that you use to host your images closes down your images will not appear on your site, also they have to be loaded from a different source, this will increase the page load time. Another way you help make your site fast is to use a thumbnail image and link the thumbnail to the full size image this way the smaller image will load fast and if the visitor wants to see better details on the image all they have to do is click the thumbnail and the full image will load allowing them to see the image full size. You can use the image resizer to resize the thumbnail using the custom size setting. Another image tool that’s great is the image optimizer you can reduce the image file size even more without effecting the image quality by removing unnecessary bytes and white space from image files.